The CoroMill 390 family covers a large, versatile programme for many applications. It generates a good quality 90-degree shoulder and is ideal for ramping and helical interpolation. CoroMill 390 is available with integrated dampening for a productive and vibration-free machining. Large depth of cut and steep ramping capability. Large, versatile program. Close tolerances giving excellent surface finish and minimal mismatch. Available in a shorter version for turning centers. Application: Oversized cutters enhance the accessibility and provide natural clearance to tight fixtures, cutters with integrated Coromant capto coupling and adaptors provide the optimal rigidity for use on extended tool assemblies, silent tools vibration dampening for increased metal removal and improved surface finish, when using slender tools turn milling, roughing and finishing, using one or more dedicated wiper inserts available in size 11 and 18 and radius 0.8 and 1.6. ISO application area: steel, stainless steel, cast iron, aluminum, heat resistant and titanium alloys, hardened material. 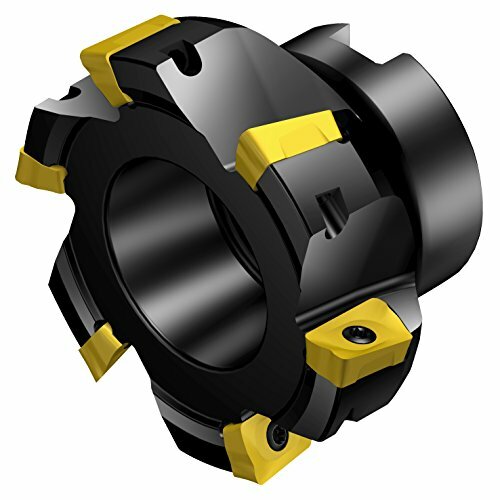 View More In Milling Tools.